Study Association Inter-Actief :: It's a tie! After the votes were in, two of the three nominees, Klaas Sikkel and Rom Langerak, appeared to have a exactly the same amount of votes. The third nominee, Andreas Peter, fell just by the wayside with only a few votes less than the other two. 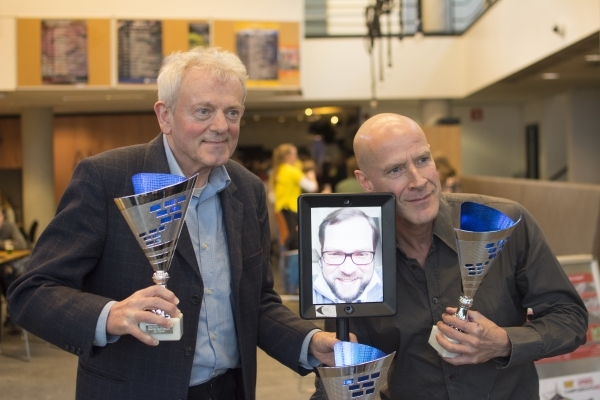 Therefore, Klaas en Rom both received the first prize at the Inter-Actief Decentralised Education Award ceremony last Friday (15th of March).